The 2018 Mazda CX-3 is a subcompact mainstream crossover that slots below the compact Mazda CX-5 and midsize Mazda CX-9 in brand’s SUV lineup. The CX-3 offers nimble handling and a cozy, thoughtfully arranged interior. Prices start at an MSRP of $20,110. Safety Score: The 2018 Mazda CX-3 was awarded the Insurance Institute for Highway Safety’s Top Safety Pick distinction. Summary: The 2018 Mazda CX-3 manages to exude an elegance that eludes many of its competitors, where cost-cutting measure are obvious. The value quotient for the CX-3 is high, however be sure to try out the smallish interior for goodness of fit. 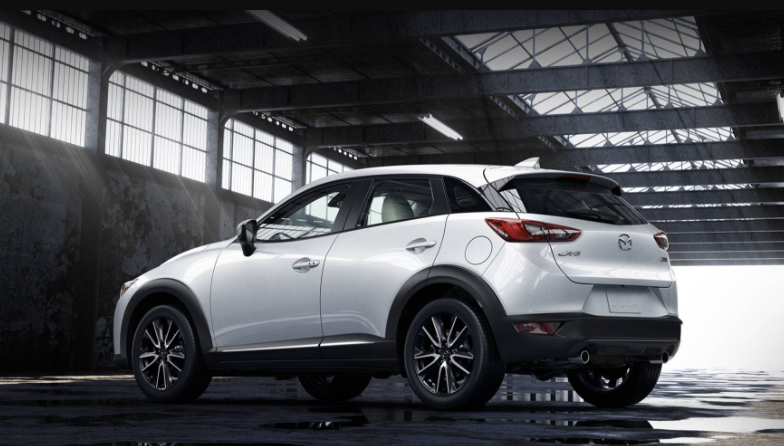 If the interior is just too small for your needs, consider the compact 2018 Mazda CX-5. A common complaint for the CX-3 has been that it could use more isolation from road imperfects and that it lacks sufficient sound-deadening to make highway speed cruising more tolerable. Luckily, Mazda has addressed these concerns with the 2019 model due for released soon. Ubran drivers likely won’t notice much difference, however if you frequently travel on the highway, wait for the 2019 model.